Our 32 sqm Deluxe Rooms feature bamboo flooring, 49″ LED Smart TV, complimentary high speed Wi-Fi, Wi-Fi music connectivity, USB charging points, tea & coffee making facilities and a bathroom with separated bathtub and rain shower. 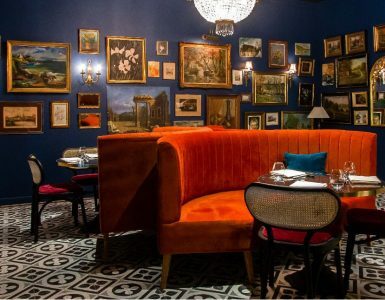 Conceived and crafted with comfort and connectivity firmly in mind our Deluxe Rooms come replete with exotic touches such as bamboo flooring and a range of complimentary bath and skincare amenities from renowned New York apothecary C.O. Bigelow, ensuring a stay that redefines satisfaction. 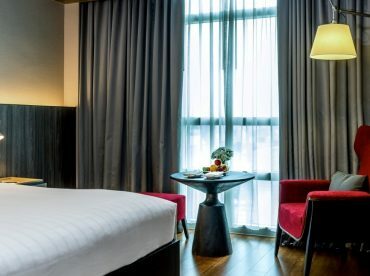 Deluxe Room guests at this Bangkok city hotel also receive 15% and 20% discount vouchers to use at the King Power Duty Free Complex adjacent to the hotel.